This is a compact car with a sporty character, one of the leaders in B-segment small car. It has agility, manageability and efficiency. 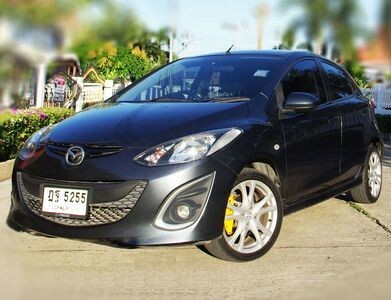 Another positive: Mazda 2 is constructed of durable materials to ensure the safety of the driver and passengers. Among other things, Mazda 2 is very economical: fuel consumption in the combined cycle is 6.8 (for the 1.5-liter engine) l / 100 km. First of all this B-segment small car Mazda. Also The sedan version we have only in Thailand and China. 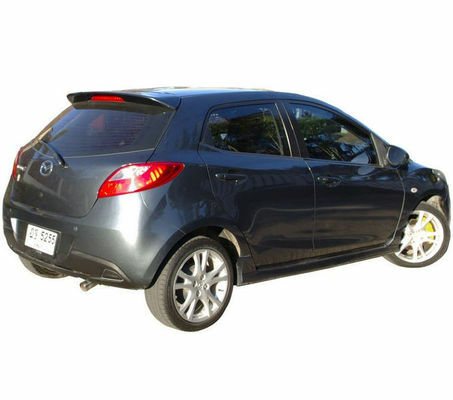 Stability control is standard in the Mazda 2 range. So it is available. There are three trim levels available for the new 2 range. It comes standard with air-conditioning and 15-inch steel wheels, though side air bags. Also it has 16-inch alloy wheels and a sports body kit come as standard on the range topping Genky. This B-segment small car Mazda. The sedan version we have only in Thailand and China. Stability control is standard in the Mazda 2 range. So it is available. There are three trim levels available for the new 2 range, the first is known as the Neo which is the base model. It comes standard with air-conditioning and 15-inch steel wheels, though side air bags, 16-inch alloy wheels and a sports body kit come as standard on the range topping Genky.